#DelvingDeeper first appeared in October 2012, some 10 months after I joined the team, as three digest-sized booklets comprising the so-called #DelvingDeeperReferenceRules. These were immediately available as PDFs at no cost–and still are today. 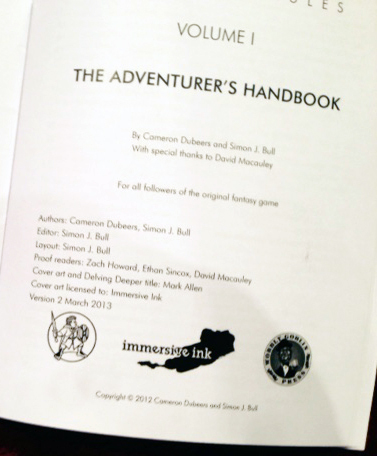 The title page of each booklet identifies it as “Version 1 October 2012” and bears the publishing marks of Brave Halfling Press (John Adams), Immersive Ink (Simon Bull), and Wobbly Goblin Press (Cameron Dubeers) being three of many collaborators on the project. 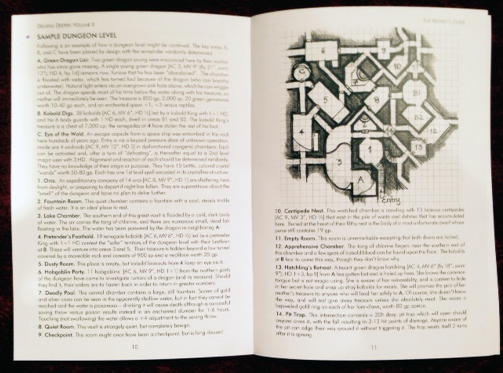 The cover art on the booklets (by Mark Allen) are the only illustrations (excepting maps) in the set. The interior typeface is a densely set 9pt Futura, with the copious tables having questionably bold borders and heavy shading. Monster ACs to -3; a number with exaggerated HD. V1 also contains a number of editorial errors (wholly my own responsibility!) which necessitated the release of a four digest-sized page Errata Sheet in March 2013. 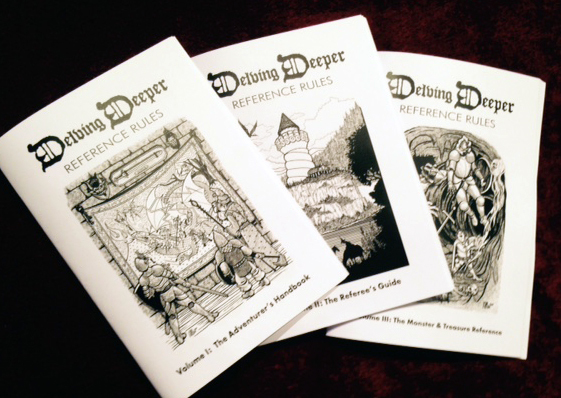 V2 of the #DelvingDeeperReferenceRules was issued in March 2013, simultaneously with the V1 Errata Sheet (show above). 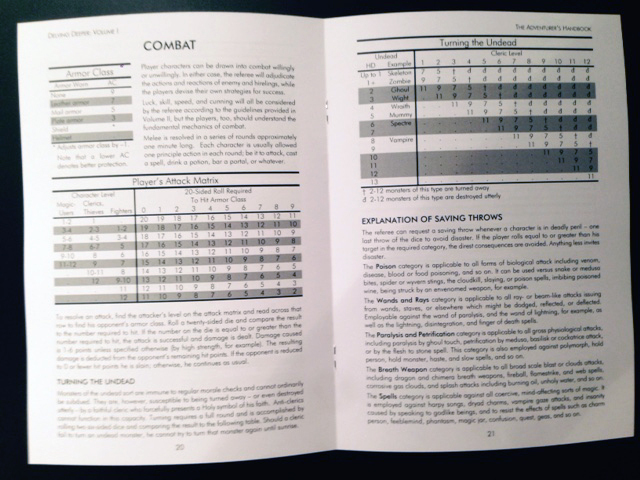 This release is essentially identical to its predecessor, differing only insofar as the then-known errata are integrated into the three booklets. The title page of each booklet now identifies it as “Version 2 March 2013”.